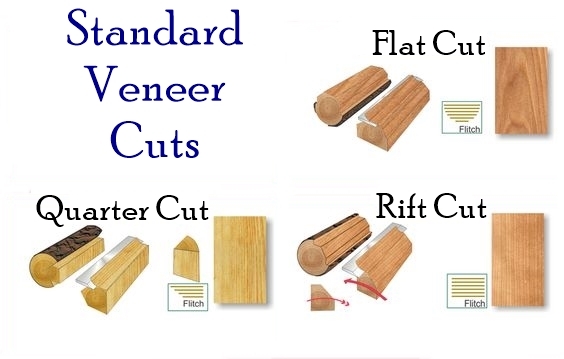 Veneer Width & Length: Required Choose Options 24" x 12" 24" x 24" 24" x 36" 24" x 48" 24" x 60" 24" x 72" 24" x 84" 24" x 96"
Red Oak Quarter Cut Veneer. Red oak has a bit of a pinkish tint is a little bit lighter than white oak. White oak tends to be a bit browner, darker and more yellow. When you stain them, the difference between the two decreases, especially the darker you go. Quarter Cut veneer has an amazing straight grain pattern that lends itself to simple designs & not a lot of busy grain. Flexible Veneer consists of 1/64" thick real wood veneer permanently bonded under heat and pressure to a 10 millimeter non-woven fiber backing, allowing it to be applied to curved surfaces. It can be applied to almost any substrate, including metal, plywood, particle board, etc. This veneer finishes like any other real wood and can be lightly sanded, sealed, stained, filled, and finished with top coats. Comes in 2' width & a choice of lengths for all your woodworking projects.